Yes, I feel a certain jealousy over their meteoric success. No, I’ve never seen any of their musicals on stage. Of course, my daughter’s been playing The Greatest Showman incessantly. And… I just don’t get them. In the past year, they’ve won a Tony (Dear Evan Hansen) and an Oscar (City of Stars) and they’re favorites to win another (This Is Me). This year, they both turn 33. I’ve gotten to know their work mostly by playing their songs. Singers plop their sheet music in front of me, and there begins a different kind of appreciation than one might get in the theatre, in the cinema, watching a TV rendering, or listening to an album. I see the complexity – jagged rhythms and thick chords – and think about the actor’s process, finding layers of playable emotions in their lyrics. Having the good meat of that sweeping audition song to sink her teeth into led Emma Stone to her Academy Award. So, yes, I have seen their films – hated one, disliked the other, but I never consider this a forum for cinema criticism. 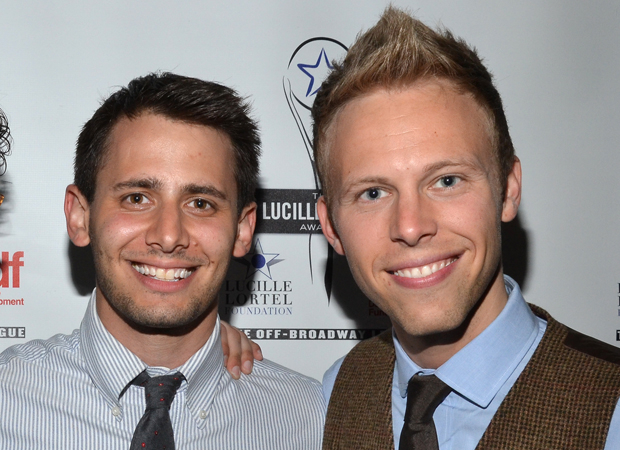 But Pasek & Paul are clearly a force to be reckoned with. My experience, my life in musical theatre, began in the era when workshops emerged as a major force in how new musical writers launch their careers. I did both BMI and the very first year of ASCAP. That was the thing, then. But Pasek & Paul discovered a way of getting known as musical theatre creators without a workshop, without, in fact, writing a musical. They put a bunch of musical theatre-style songs on the internet, and performers came in droves, flies to honey. That’s the thing I envy, but, musing here, I check myself to make sure this doesn’t color my opinion of their work. In a way, it bothers me that I don’t like them more. I mean, if a new flavor comes along, and everyone loves it, and you’re going “ick,” then you naturally feel out of touch, unhip. And it seems like we’ve stood and talked like this before. This may be a matter of taste, but I’m rarely moved by songs that involve profound pronouncements, a heaping dose of wisdom, an explanation of What It All Means. This is particularly problematic when the songwriters are so young (19, actually) that we older people go “Come on, you can’t know that much about life if you’ve lived so little.” I’m never in the mood to hear that sort of thing. But one early Pasek & Paul number really gets to me, Along the Way. And that’s because it’s telling a story and we’re tuned in to a young character’s feelings as he goes through a set of early-in-life experiences, many of which are humorous. I take this as evidence that Pasek & Paul have all the tools necessary to be great theatre writers. They know from interesting accompaniments, narrative, humor, rhyme (sometimes), hummable tunes, and are particularly strong at utilizing pop sensibility. This last skill is best evidenced by what seems to be their best-loved song, Waving Through a Window, which sounds like something you’d enjoy listening to through speakers, but loses me as a thing to watch. The rock aesthetic is to glom on to a good groove and stick with it. That makes a song good to dance to, and there’s some old joke about when “Can you dance to it?” was the determiner of a new piece’s effectiveness. In the theatre, though, hearing the same little rhythmic phrase over and over again gets enervating. Characters are human beings: emotions pour out of them in waves that ebb and flow, not in iterated pulses. Typically, Pasek & Paul songs will introduce an appealingly complex phrase, and keep it repeating so often, it wears out its welcome. Their intention may be to use an ostinato as a background over which the singer should stand out. But many’s the time when the alchemy just isn’t there, and I find myself tuning out what’s being said. Worse, the vocal line sometimes repeats the same phrase ad absurdum. When considering composition, though, let’s not forget that their songs for La La Land have a different composer, Justin Hurwitz. I think Hurwitz wrote a number of appealing tunes, but that traffic jam opening number exemplifies the problem I’m trying to describe. There’s the lively riff and a girl in a car starts to sing, and, within a few seconds, we cease listening to the lyric. That’s not what good songs in musicals do. In an effective musical, we pay attention and get rewarded for our attention. Neophyte writers often fall into this trap: They take a moment in a story, think, “OK, the character’s now feeling this” and proceed to build this into a long musical moment. Considered individually, such a number can impress and affect. But what’s missing here is that we look to songs to move a story along. And if we have a moment where we know exactly what the character is thinking, we don’t particularly need to hear about it for five minutes. We’re ahead of it; we’re being told what we already know. The televised Pasek & Paul misfire, A Christmas Story, made this mistake in practically every number. A Christmas Story also suffered from a severe deficit in lyrical jokes. Unlike their Dogfight, this is a light story with no emotionally wrenching moments, so the least they could do is provide some laughs. The audience basically sat there with their jaws dropped. The reaction wasn’t “This is great.” The reaction was “Holy Christ! I’ve never seen anything so marvelous.” You could feel this energy throughout the theatre, the entire building was abuzz with how fantastic the performance was. You know, it has never been my intention to make this blog the place where I brag. So I’m going to try, today, to accurately reflect and reflect upon what happened in Connecticut at the beginning of July. As usual, I hope to be interesting and useful to creators of musicals. But, let’s face it, some of this is going to sound like boasting. Deal. The occasion was a presentation of a portion of The Christmas Bride. I am responsible for its music and lyrics and circumstances landed me in the director’s chair. To my surprise, it’s not a tall wood-and-canvas thing with a title on the back. It fell upon me to select a cast of eight, rehearse them and tell them where to move. We had an extremely short amount of time to put this together, and the lion’s share was spent getting the notes right. An exorbitant number of minutes were lost to laughter, as a couple of players found a bit of business so funny, they were unable to get it together and deliver the material with a straight face. But when they were on, they were ON. I’ve never encountered a crowd so titillated. The tongue-in-cheek machismo of leading man Matthew Griffin had the effect of literally turning a lot of women on. And, you know, my wife cast Magic Mike Live in Las Vegas, so now we’re both used to having that effect. I really think the best thing I did in this fraught process was choosing the performers I got. Six had worked together for two years as students of mine. Solid and stolid David Arthur Bachrach is a veteran of two previous Christmas Bride productions, this time essaying a new role. One day I had a brainstorm that my current student Megan Poulos had all the right stuff to be the title character. I took a leap of faith that she’d play well off of Matthew Griffin, who’d made such a great impression earlier this year in Encores’ The New Yorkers at City Center. He’s got the looks, the voice, the goofy swagger; could they project the chemistry of illicit lovers taking a leap of faith on each other? In a word, yes. This was the thing that thrilled me most. Book writer MK Wolfe and I had always hoped for a certain sexually charged energy between our leads. Previous productions had come up a little short, I think, as the lines and lyrics have to bounce off the pair in a way that sizzles. It’s that old saw that casting a show right is more than half the battle. Here was the proof of that pudding (made of plum? ), a very fortunate happenstance. Players with a similar background was a felicitous shortcut: They all knew how to get behind the energy of the piece. MK Wolfe’s book effectively keeps the stakes high, and the players played them for all they’re worth. Well-played melodrama knocks out an audience – the fraught sense that everything that’s happening is of great importance, has huge consequences for the characters. One could tell from the opening minutes that people were thunderstruck by what they were seeing. And it was more than my cast of New Yorkers. I also believe the quality of the writing stunned the crowd. The little that is arbitrary never seemed arbitrary because viewers got used to being rewarded for their concentration. In a plot sense, little clues are often dropped as to what might happen next, and these kept people’s ears particularly wide open. That led, in turn, to a different kind of hearing. The singers sounded so great, you could sense the listeners relaxing, taking in a new and enjoyable tune. This is hard to describe, but there’s just a different feeling in a room when melodies hit ears and the hearers savor right away. Far too often, I’ve witnessed the opposite, when oddly-crafted tunes get taken in with a bit of befuddlement. This was more like love-at-first-sight, an instant attraction. It’d been five and half years since I’ve seen The Christmas Bride. So, in an odd way, I was reacquainting myself with old themes, and rediscovering what’s good about them. The long sustained notes in Fluttering and Turn Around give time for the vocalist to open up. The sweetness of Megan and Matthew’s sounds delighted. Marion and Alone in the Night are two larger pieces I’ve always thought were among my best. But the main song for the romantic leads, Take a Gamble – well, I’d previously thought of it as a little disappointing. A romantic musical calls for a big I-love-you statement, and this argumentative duet has its eyes on the plot. Megan and Matthew revised my self-assessment. Rather than park-and-bark sentiment, I’d given two actors fully motivated moments to snipe at each other. In their hands, it became a beautiful thing, and, at long last, I found myself enjoying the song. A friend and fellow musical theatre writer was there, and he’d never previously heard any of my work. 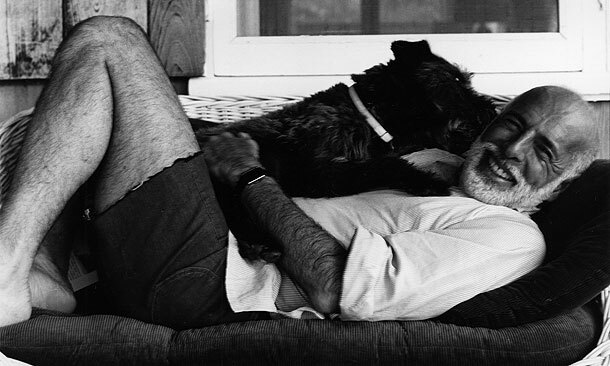 He was particularly taken with my dense rhyming and how they gave spring to the meanings of the sung lines. We plan to meet for a drink and discuss it some more. Songs rhyme for a reason. When the brain knows it’s going to receive sounds that match at regular intervals, listening is enhanced. It might be harder to come up with a clever rhyme structure and stick to it, but it’s surely a lot easier for the hearer. Our brains take in well-rhymed words much quicker than unrhymed or – horrors! – badly rhymed verse. Connor sounded the “H” on “herbal” and then the frocks/box rhyme sped the line forward. It traveled blithely from an unfamiliar word (“furbelows”) to a familiar and understandable concept. Had this been fully staged, he would have been holding a huge pile of presents. Instead, a good rhyme drawing attention to meaning got everyone to picture what they could not see. Immodestly, perhaps, I’ve unveiled some of the little details that garnered such a huge reaction. There was a moment towards the end where a twenty-second ovation broke out, literally stopping the show. The actor could not continue until the audience obeyed his hand-signal command to simmer down. The Connecticut crowd had never seen anything like it. You are currently browsing the archives for the Components category.